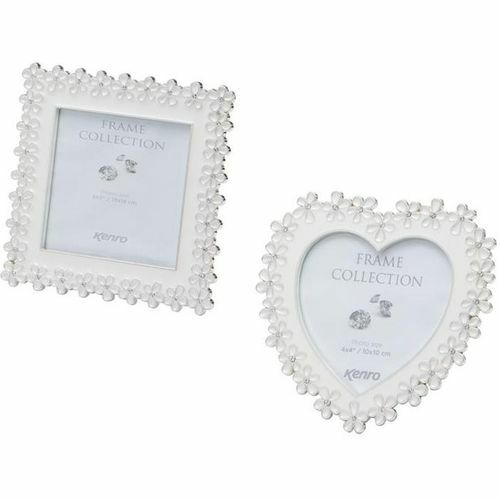 Heart & Square shaped set of photo frames from the Kenro Chloe series. Each Frame is edged in silver flowers with centre diamante. With a heart shaped picture window and luxury velour lined back.